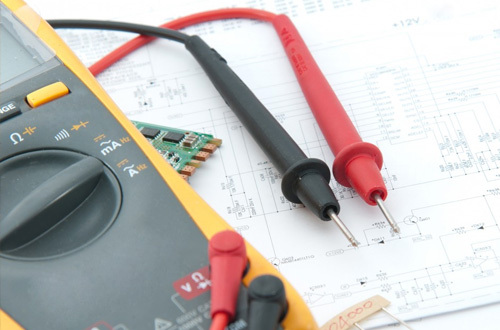 With decades of experience and a passion to be the best, we are the perfect choice to carry out quinquennial periodic testing and inspection of your church’s lighting, power or heating system installation. Not sure which lighting system you want? There are many reasons why the inspection and testing of all electrical systems is of the utmost importance. First and foremost there is legislation which requires certain electrical installations are maintained to safety standards, meaning they must be periodically inspected and tested. As well as the requirement to be BS 7671 compliant, you may also find that other organisations such as the local authority or your insurance agents will require periodic inspection and testing of all your electrical installations by a professional electrician. Additionally, electrical systems can deteriorate over time due to damage, wear and tear, corrosion, excessive electrical loading or environmental issues. This means they could be working less competently and cost you more. More importantly, they could be dangerous and put the safety of your congregation and visitors at risk. Church Lighting Systems’ electricians are fully conversant with the requirements of the IEE Wiring Regulations (BS 7671) and are qualified to undertake testing all types of industrial, commercial and domestic electrical installations, including bespoke solutions for churches. We can create a schedule of periodic testing and inspection for the lighting and heating systems within your church and will ensure our work is carried out in a manner which minimises any impact on your daily activities. We can also be called upon to advise you when any additional testing may be required, for instance if you change the use of your premises, if interim damage is suspected or if there is any significant change in the electrical loading of the installation. For your convenience, we processes all inspections and tests quickly and customers are informed as soon as possible of the results. This ensures there are no delays in addressing faults or deviations from regulations or quality standards. All certification is held securely on our database to allow for any future tracking of the inspection processes. Should any repair works be required, we’ll happily provide you with a quotation for the work and will aim to offer a repair service that is professional, timely and cost-effective.